When was the last time you watched a movie made before 2010? What about a movie in a language other than English? Oh man, you’re missing out! Japan has a vast and fascinating culture and history, which has been a source of endless inspiration for the great Japanese filmmakers. Film is one of the most accurate and interesting ways to engage with Japanese history and culture. But what about Japanese language? Well, watching videos is great for language learning, and classic films are no different! What’s So Great About Classic Japanese Movies? Japan’s culture and language are heavily influenced by different regions and time periods. Watching films made or set in different eras of Japan’s rich history and across different regions is a great way to become familiar with the different accents and variations of spoken Japanese. Plus, the more you know about Japanese history and culture, the more impressive you’ll look to your Japanese friends! Not to mention all the new material you’ll have to cover in your conversations with Japanese speakers—being classics, these are films that many Japanese people have watched, probably more than once. If you have Japanese-speaking friends, ask them about the film: did they like it? What other films are popular by that director/starring those actors? How is the Japanese spoken in the film influenced by the time and place? If there’s any regional dialect in the film, was it ever difficult for them to understand? Watching films is also helpful for language learning because the action on screen is such an important part of the storytelling. You don’t have to be able to understand all of the dialogue you hear, because the visual cues will help you follow the story. This is especially true for Japanese filmmaking, which is typically much less reliant on dialogue and instead focusses on attractive cinematography to tell the story. Like all film cultures, Japanese filmmaking covers a huge range of genres and topics. By choosing the genres you like and topics that interest you, practicing Japanese doesn’t have to be a chore at all! Finally, quite simply, these are some truly great films. They’re considered classics for a reason! Even if you’re taking notes and focussing primarily on the language, chances are that it won’t take long before you’re completely lost in the story. Give yourself permission to enjoy watching these movies—they’re wonderful! You don’t need to try to understand and translate every single word. Having said that, don’t just turn on the subtitles, put your feet up and watch these like you would any other movie! With just a little more effort, these classic movies can become engaging and exciting Japanese language lessons. First of all: choose a movie that you like, because the more often you watch it, the more you’ll understand. Repetition is key, particularly to improving your listening skills. If there were a few dialogue-heavy scenes that left your head spinning, go back and watch them again. And again, and again—as many times as you need to in order to feel like you understand what’s going on. It may make you feel like a school student again, but I recommend taking notes while you watch. Your notes can be in English or Japanese, or a combination of both. Write down words you would like to include in your vocabulary and phrases that expressed something interesting or useful to your learning. If you notice consistent differences in how characters speak, jot down some examples as well as who the characters are and research it further: perhaps this is gendered language, language that’s influenced by a regional dialect or perhaps the characters’ social status is influencing their speaking style. It’s important when watching these films to note the time period, region and social status of the characters, so that you can be aware of how this affects their language. 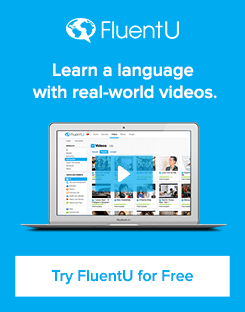 If you like learning Japanese by watching movies, you’ll love FluentU! This fun and immersive platform transforms real-world movie trailers and clips (as well as many other types of videos) into a personalized language learning experience. Watch authentic movie trailers with interactive Japanese subtitles that provide English translations, definitions and in-context example sentences with one click. FluentU’s “Learn Mode” then transforms the videos and their vocabulary into flashcards, quizzes and exercises to ensure that you’re retaining what you’ve learned. Plus, FluentU remembers what you’ve studied and suggests more videos based on that information, so you have a concrete and customized learning plan to follow. It’s an awesome way to actively boost your language skills while absorbing authentic Japanese culture and entertainment. Practice pronunciation by repeating phrases of the dialogue out loud. Replay an interesting or difficult line a few times, then practice saying what you heard. You can even record yourself saying the line and then play it back to notice any parts that need practice. One of the best ways to watch movies is to gather a few like-minded friends together for a movie night. Make popcorn (or Japanese snacks! ), serve drinks and discuss the film at the end. Extra points if you have Japanese-speaking friends to watch with! Ozu Yasujiro’s 1953 masterpiece is an intensely close study of the rapid pace of growth in Japan after World War II. An elderly couple travels from their rural village home to visit their married children in Tokyo. The generational gap is clear: the adult children are unable or unwilling to provide proper hospitality to their parents and send them to a health spa instead. Much of the action that this film is based on takes place offscreen—the audience only learns about what has happened through the dialogue. This makes the movie a fantastic choice for advanced Japanese learners who want to stretch their muscles and try to understand the story without many visual aids. It’s interesting to listen to the way social status affects characters’ language in this movie. The parents speak to each other using very casual, comfortable language, giving us a sense of their lifelong relationship. However, the adult children speak to their parents with such formality that it comes across as cold and awkward, showing the strained relationship between generations during that period. Still considered one of the greatest movies of all time, Kurosawa Akira’s 1954 classic is a thrilling, violent and philosophical critique of 16th century Japan. Seven unmastered samurai (浪人／ろうにん) are hired by a village of farmers to protect them from bandits. The “samurai Japanese” used in films set in this period should be very interesting for intermediate and advanced learners. Samurai had their own typical speaking style, often with very masculine inflections. Here are some examples, if you want to spice up your Japanese with some samurai-speak! Listen and see if you can notice the samurai dropping です and replacing it with でござる. Both です and ござる mean “to be.” ござる is an archaic form of です. This is one of the most typical examples of the difference between modern Japanese and feudal, samurai Japanese. Rather than the regular greetings of 今日は／今晩は (こんにちは／こんばんは) — hello/good evening, samurai used to greet others with the phrase ご機嫌いかがでござるか？ (ごきげん いかがでござるか?) — are you in a pleasant mood? This one is funny to me because it’s so masculine, and unnecessarily rude: when asked 大丈夫 (だいじょうぶ）— are you okay?, samurai would answer with 心配御無用 （しんぱい ごむよう) — your concern is unnecessary. This Oscar-winning anime from Studio Ghibli should be mandatory viewing for anyone interested in Japanese culture and language. The surreal tale follows Chihiro, a young girl forced to survive in the spirit world after her parents are turned into pigs. At last, a comedy! This whimsical and inspiring film follows a highly unusual family as they face what life has handed them with hope and support for one another. Sachiko, the youngest daughter, imagines a giant-sized version of herself and plans to get rid of that vision. The film is serious and dramatic at times, funny and fantastical at others, with a dramatic and nostalgic ending. 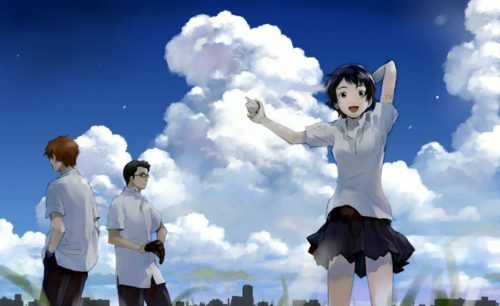 Hosoda Mamoru’s science fiction romance anime has quickly become a modern classic. High schooler Makoto has the power to travel through time, however her youth and naivety lead her to waste her power solving minor problems. If you want to become more familiar with informal Japanese, this is a great film to watch. All the main characters are teenagers and have a close enough relationship to talk in natural, casual Japanese. See if you can hear the subtle differences between Makoto’s feminine language and the masculine language used by her friends. Textbooks and classrooms often overlook the way Japanese is spoken by young people and between friends, so it’s worth listening to casual spoken Japanese even if you’re still a beginner! Compared with many other films about Japanese soldiers in World War II, Ichikawa Kon’s “ビルマの竪琴” is a relatively nonviolent and even sentimental movie. After the Japanese surrender that ended the war, a small group of soldiers search for Private Mizushima, a harp player who has disguised himself as a monk. This was one of the first films to show the loss of war from the Japanese perspective. Japanese classic movies are a delight to watch for learners at any stage. The quiet, slow style typical of classical Japanese filmmaking can take some getting used to at first, but these beautiful films are loaded with meaning that can help us understand Japanese history and culture a little better—and improve our language skills as we watch!